LADIES, WANT TO LEARN HOW TO MAKE SHOES? Join Juta Shoes for a weekly community training session for local women who are not in full-time employment. You can learn how to make shoes and other products from leather, meet other local women, and find out more about how you can earn money on your own time making shoes and teaching workshops for us. Juta Shoes is a shoemaking social enterprise. They make handcrafted espadrilles from reclaimed leather, and teach shoemaking workshops. They support, train and employ local women who face barriers to work. They have been running weekly training sessions for two years. 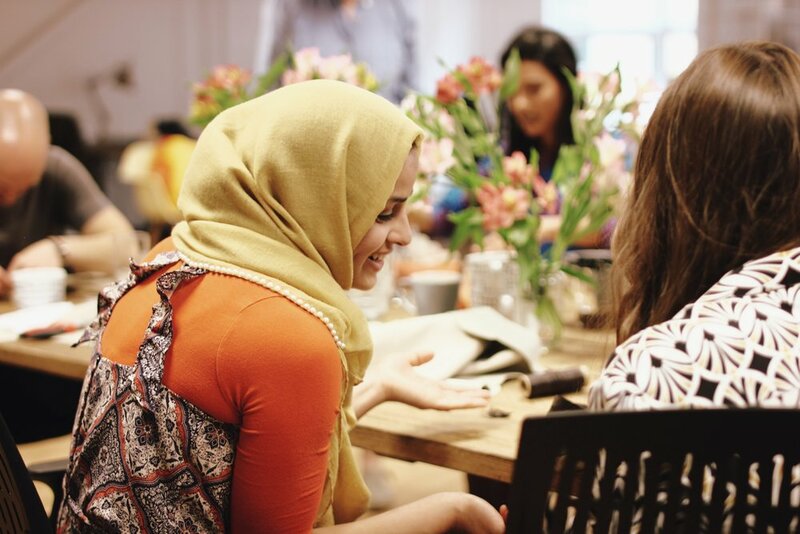 Sabeha has worked at St Hilda’s for 12 years, leading women’s community projects and working to reduce social barriers for marginalised women, and she has a BA in Social Enterprise. Joanna was a 2016 Year Here fellow, and nearly went to medical school before she realised she’d prefer to be making shoes.